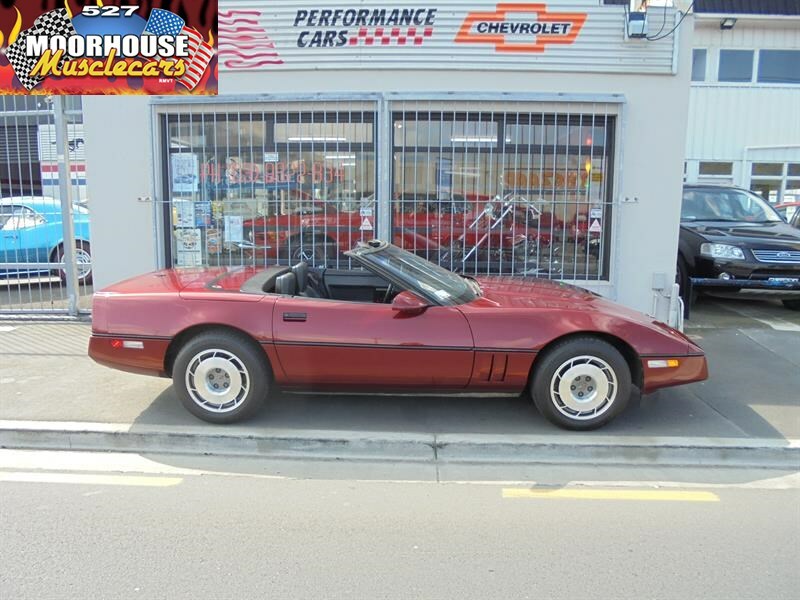 This simply stunning C4 Roadster has to be seen to be fully appreciated, to say it's had very caring owners would an understatement! 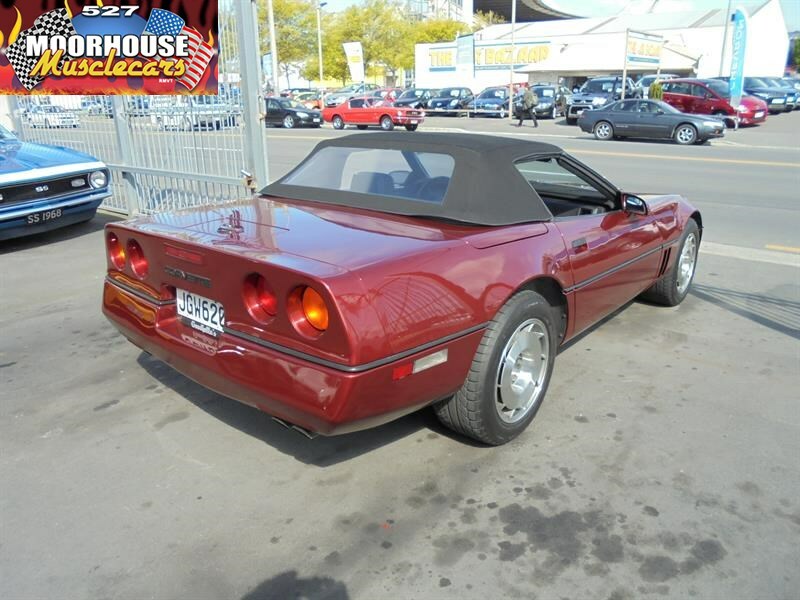 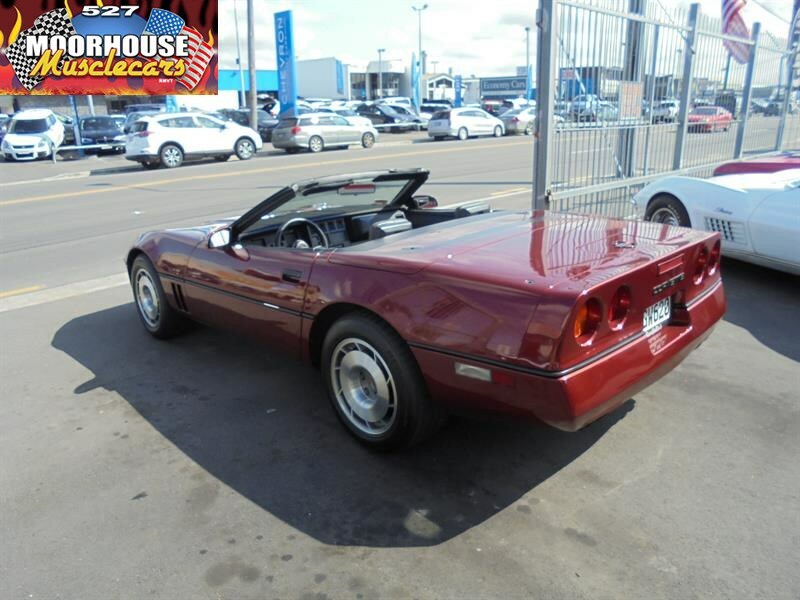 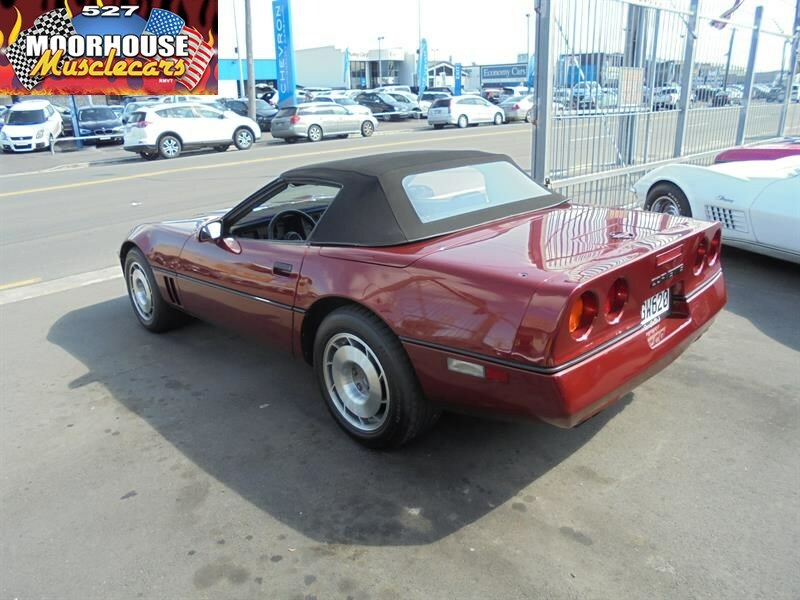 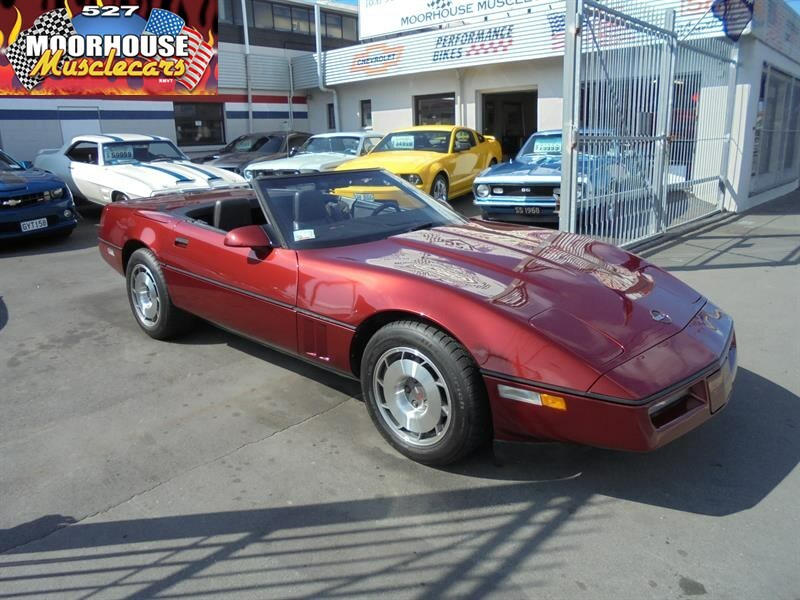 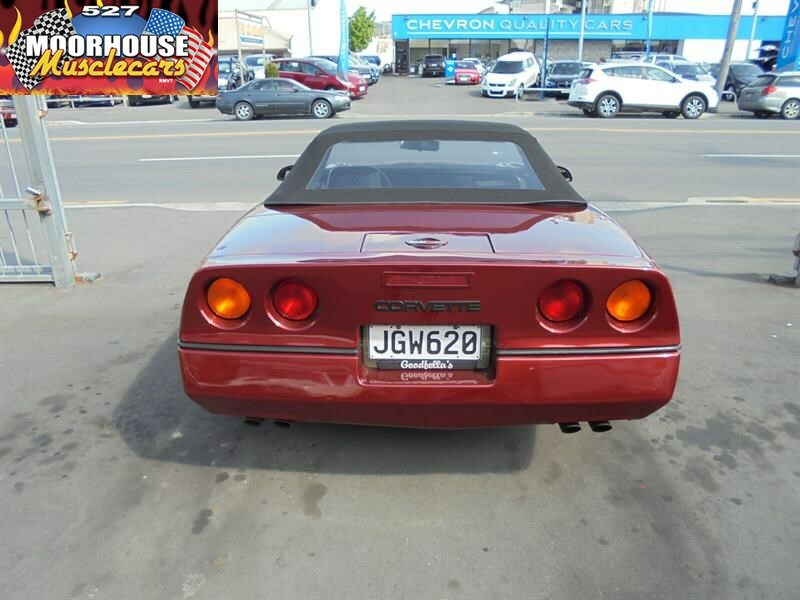 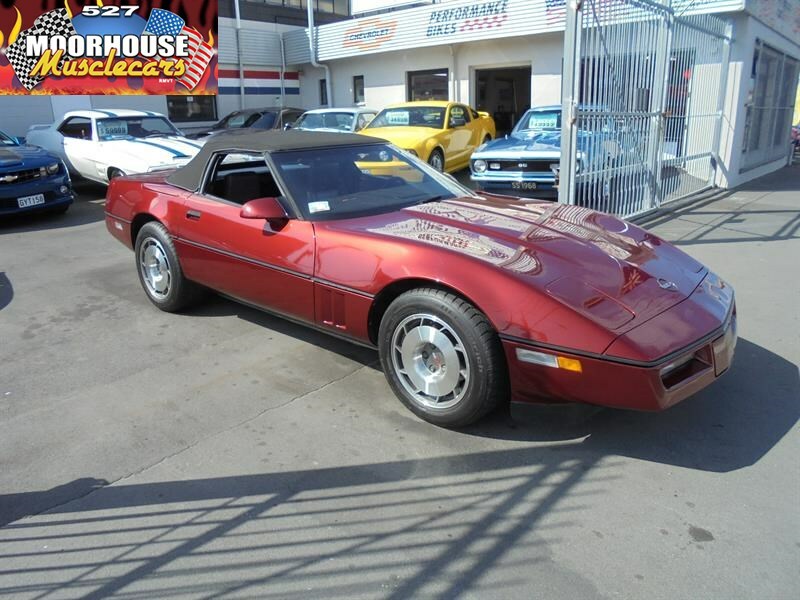 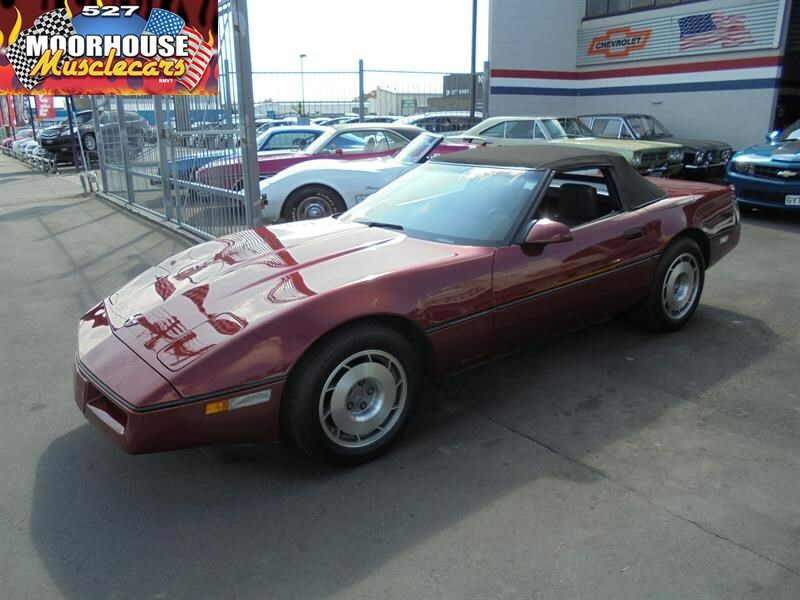 Purchased new in Tacoma Washington in 87 this Vette remained in the same family ownership with a brother and sister for many years, before being purchased by the current owners who shipped it to Australia, where it was thoroughly enjoyed in the sun before recently moving to NZ and bringing their beloved Vette with them! 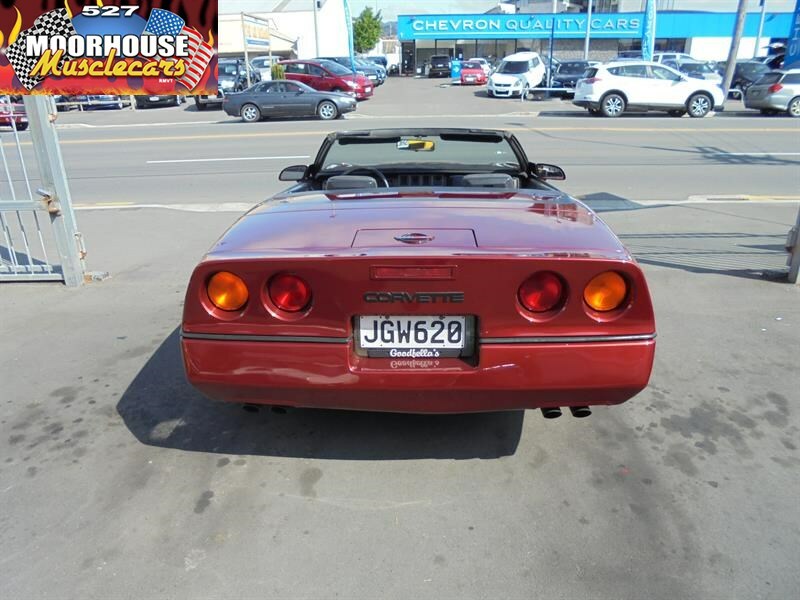 Circumstances change, and other vehicles have come onto the scene, so sadly this magnificent Roadster isn't getting used like it should so rather than sitting idle is being offered up for sale to a good home! 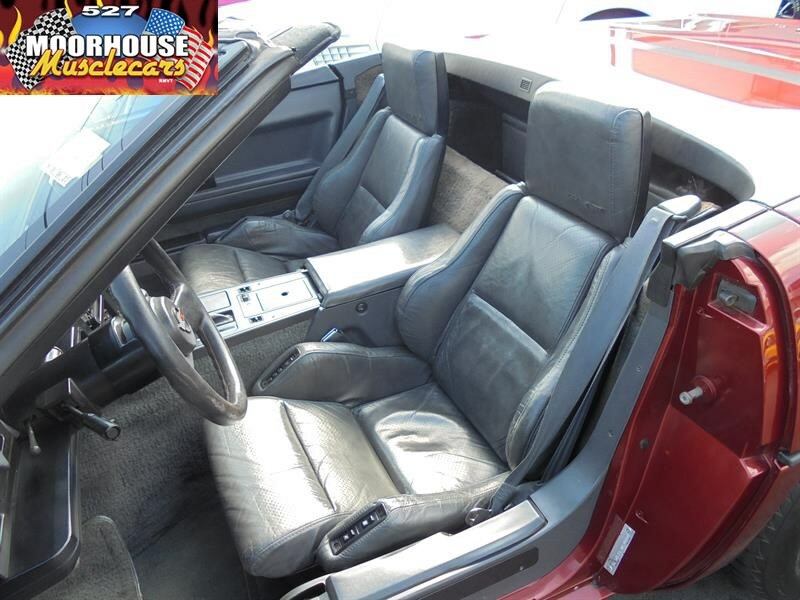 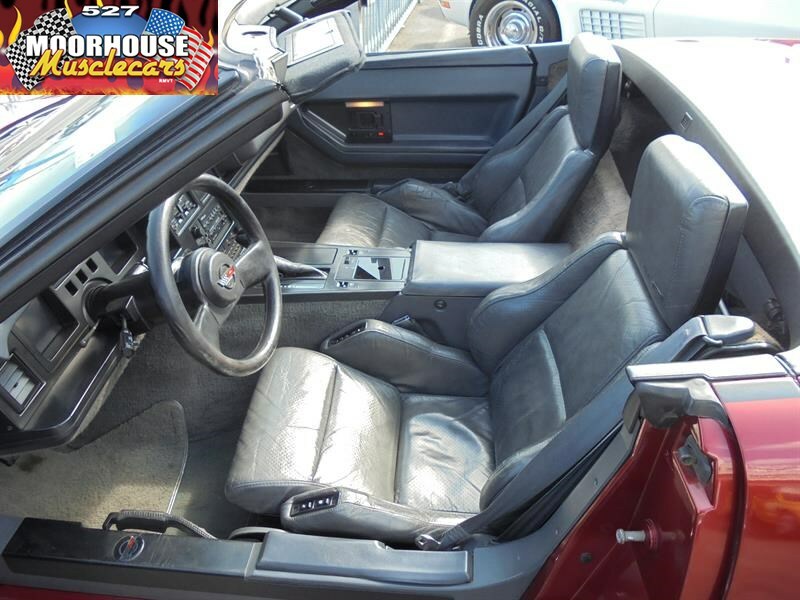 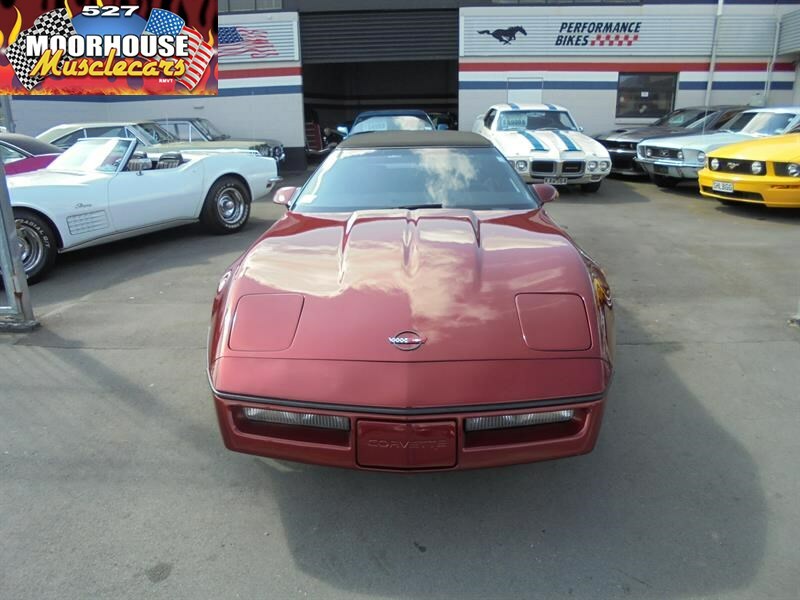 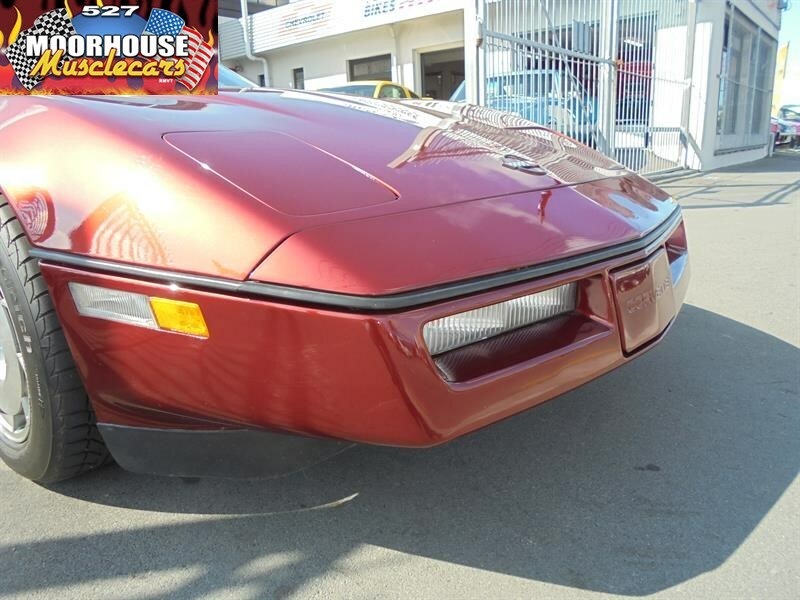 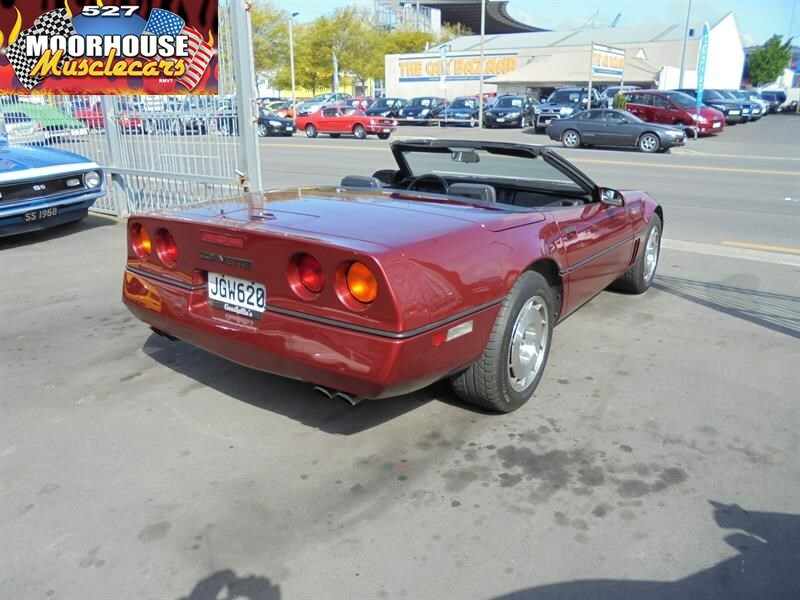 A beautiful example this would have to be the best value for money examples of Americas One true Sports Car, and for very little money you get one of the nicest C4 Roadsters we have ever had the pleasure of offering for sale. 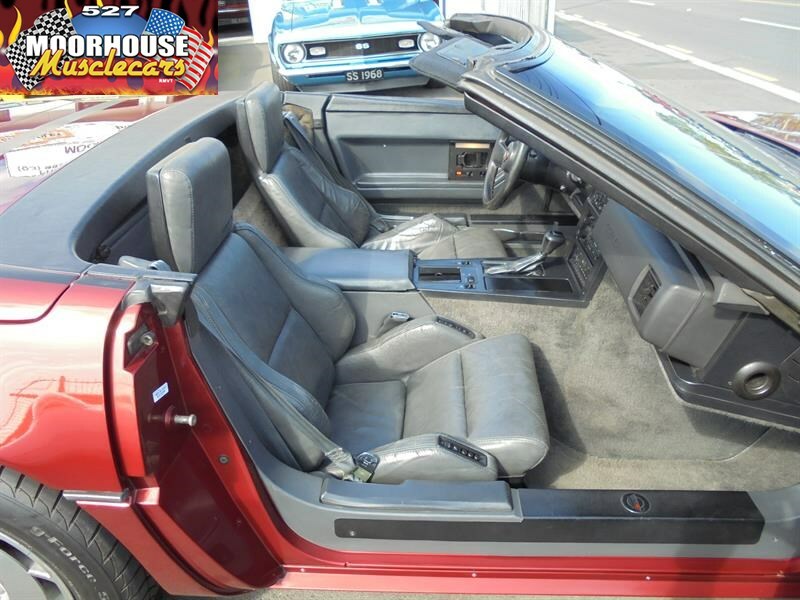 The paintwork is in outstanding condition in bright Copper Red Wine Metallic with virtually no wear or chipping anywhere, and all of the trim and fittings which usually lets these 80s icons down is almost perfect, refreshingly the rubbers hood and all of the switches and fittings in the cabin appear to work, and are not held in with zip ties and glue! 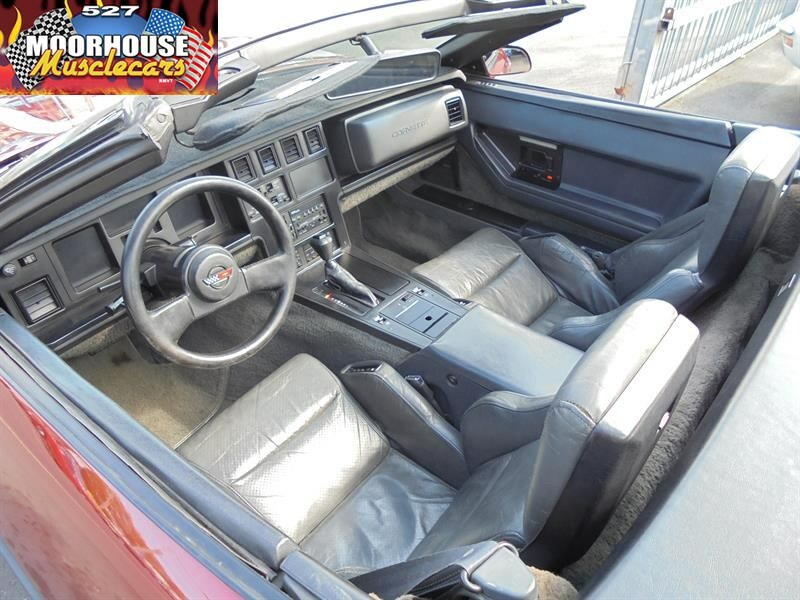 The factory high quality for the day Bose Audio system is still in place and functions well with the clever hidden addition of a facility to make the unit MP3 compatible. 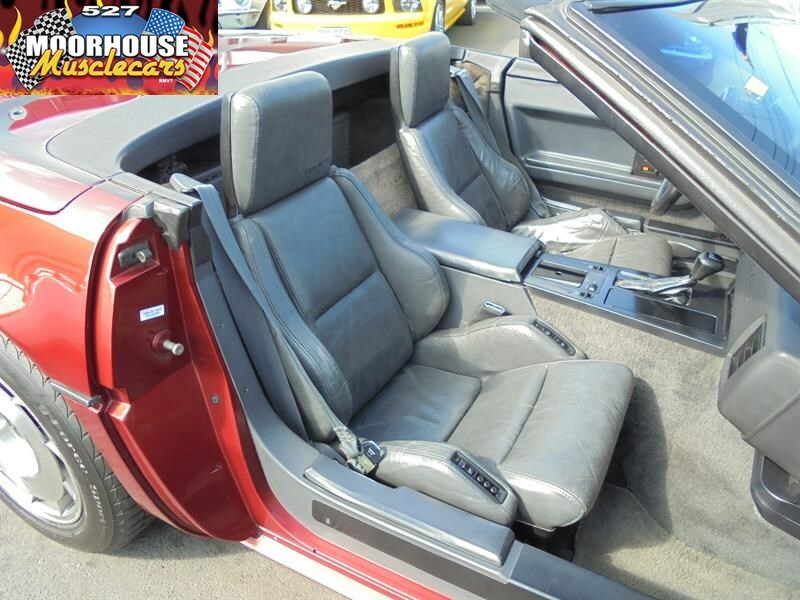 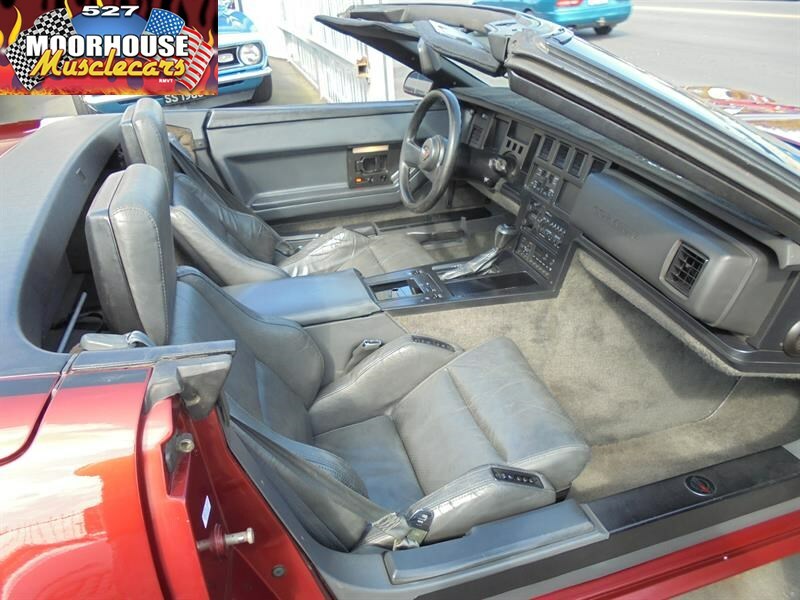 The graphite grey leather trim is still in very nice order throughout, generally doesn't look its age, and all of the electrics still appear to function correctly, with over all a nice crisp appearance. 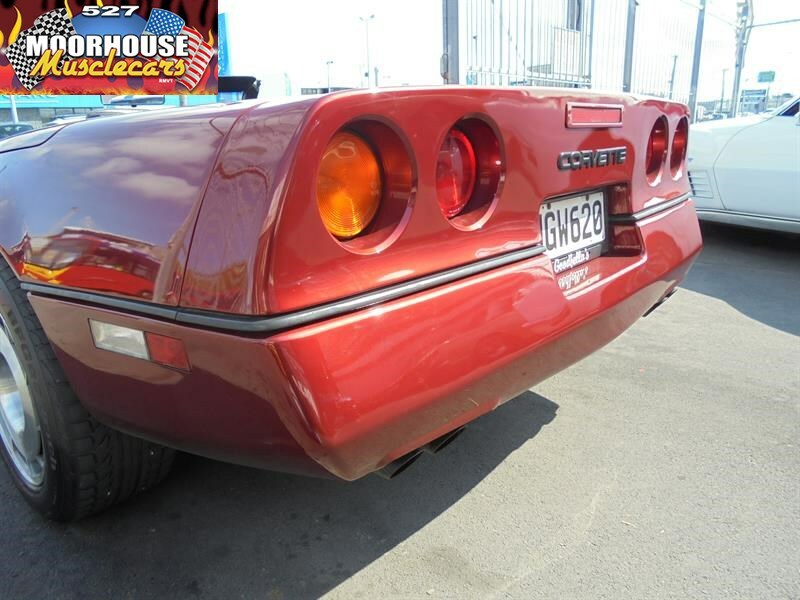 The rear cargo area has had a clever tool box come storage box fabricated to stow luggage etc without it rolling around and fouling on the hood when in the down position, and is just one more small example making it pretty clear this Vette has been someone's absolute baby! 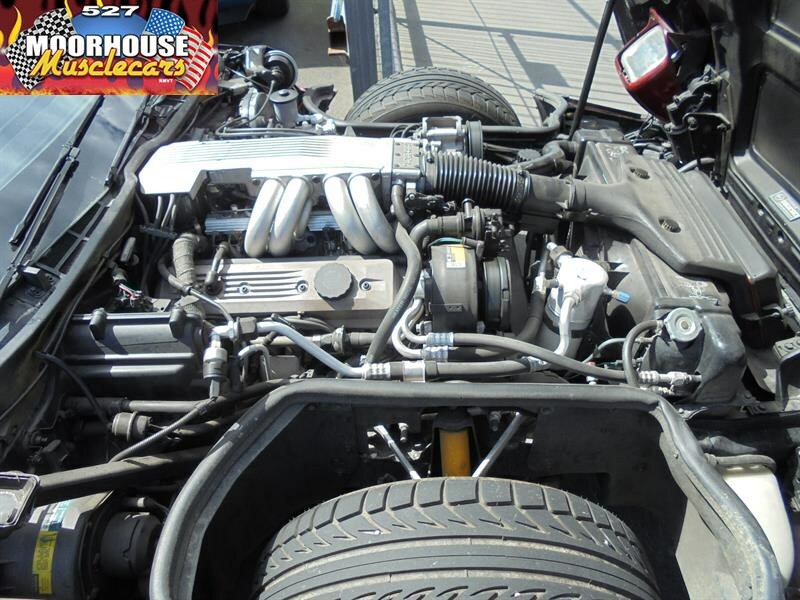 The iconic Tuned Port Injected 5.7 is smooth and super responsive due to new high quality Bosch 4 injectors, and starts straight up idling perfectly with no smoke, and shifts through the smooth 4 speed auto, while the stopping duties are controlled by 4 wheel discs, with ABS braking, and this example came factory with the optional and desirable Z-52 suspension package, so rides and handles like an 80s Super Car should.